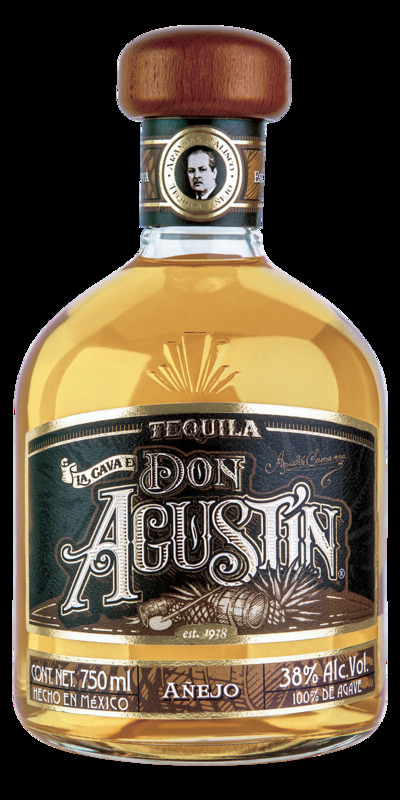 Don Agustin Anejo Tequila | 100% Agave Tequila | Premium Tequila — Emporia Brands Ltd.
La Cava de Don Agustin is a traditional hand crafted tequila produced by the Camarena Brothers, the third largest owners of agave plantations in Mexico. Their privileged access to the finest plants from the premium highland region of Arandas creates 100% agave blanco and reposed tequila of exceptional quality. As the 3rd largest owner of agave plantations, the Camarenas are in a perfect position to concentrate on 100% agave tequilas. Don Agustin tequila is named after the founder of the distillery, Don Agustin Camarena. The piñas are traditionally baked for 60 hours in brick ovens, rather than autoclave, and a similar level of attention to traditional methods is applied to every part of the process: water is reliably sourced from their own artesian wells, and their yeasts are unique descendants of those used in the 1930s. Don Agustin is double distilled in pot stills; new American oak barrels are used for ageing; and the tequila are reduced to the correct strength with water from their own well, fitted by reverse osmosis. Nose: On the nose, an oak driven agave aroma with toasted and spicy nose. Palate: On the palate, a rich, smooth rounded taste.